Dr. Tran graduated from the Medical College of Virginia with the degree Doctor of Dental Surgery. A graduate of University of Virginia, she follows the spirit of excellence and tradition of honor instilling by President Thomas Jefferson. Since she began practicing dentistry, Dr. Tran has kept up to date on many continuing educational classes, ensuring that her patients receive the most comprehensive and advanced dental care. She served as the Chair of Continuing Education for the Northern Virginia Dental Society. She was awarded the International Congress of Oral Implantologist Fellowship. She is an active member of the American Dental Association and Virginia Dental Association. She is the current Treasurer for the Northern Virginia Dental Society. In the past, she was chosen to serve as a Delegate representing all dentists from Northern Virginia at the Virginia Dental Association Assembly. Dr. Tran’s passion for Dentistry stems from her calling to help others through dental mission. Dr. Tran has participated in multiple dental missions including Operation Smile, a non-profit volunteer medical services organization that provides reconstructive facial surgery to underprivileged children and young adults, Hope for Tomorrow dental missions, Mission of Mercy throughout Virginia. She is a Donated Dental Service provider to help the underserved population. As a dental patient herself, she brings compassion and empathy to her patients with her caring and kind chairside manner. An immigrant from Vietnam, Dr. Tran proudly considered herself “an adopted daughter” of America. Therefore she believes in supporting local business in Del Ray Alexandria area and America via buying local and co-marketing efforts. 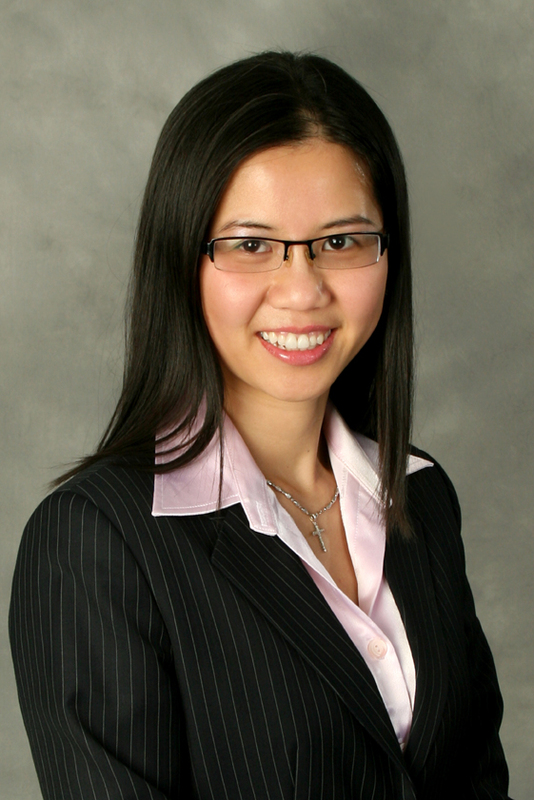 Dr. Tran is an active member of the Del Ray Business Association. She serves as one of the Trustee for St. Patrick’s Episcopal Church. In her spare time, Dr. Tran enjoys her time with her husband, Dr. Kevin Tran (an Anesthesiologist), as well as their three young sons (age ranging from 9, 7 and 6 years old). Her love for fishing and outdoor sports are being put on hold due to raising her three “goonies” (as she lovingly calls her three boys). However, her newfound passion is Bikram yoga helps her staying present for her patients and her family. 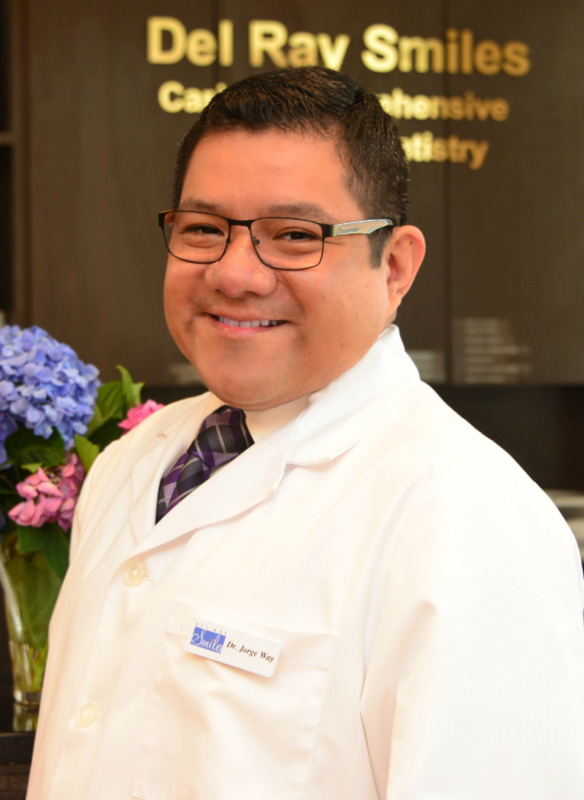 Dr. Jorge R. Way is an accomplished dentist since 1995 with a prestigious additional training in Advanced Education in General Dentistry at University of Maryland Dental School. Dr. Way believes in serving his patients with compassion and competence. Therefore he is always under ongoing training to further his knowledge and skills. He also has a Master degree in Dentistry and an Orthodontic Program. His love for learning is clearly shown when he completed two Business Management Programs at ESAN University - Business School. In addition to practicing clinical dentistry, he enjoyed giving back to the field of dentistry via teaching. He served as an Assistant Professor at Cayetano Heredia Dental School for many years. As an Assistant Professor, he performed several academics responsibilities as well as diverse administrative positions including Head of Operations and Administrative Director at the Dental School. Dr. Way’s approach to dentistry is to treat everyone with kindness and compassion. Like Dr. Tran, he is thankful that he has the opportunity to improve the quality of life through dentistry. He is a volunteer at the Northern Virginia Dental Clinic and participated in numerous dental missions. Dr. Way is currently an Invisalign and Six Month Smiles certified provider. A native of Peru, Dr. way is fluent in Spanish. Dr. Way’s hidden talent is graphic design. In his spare time, he loves spending time with his wife and daughter, watching movies and traveling.